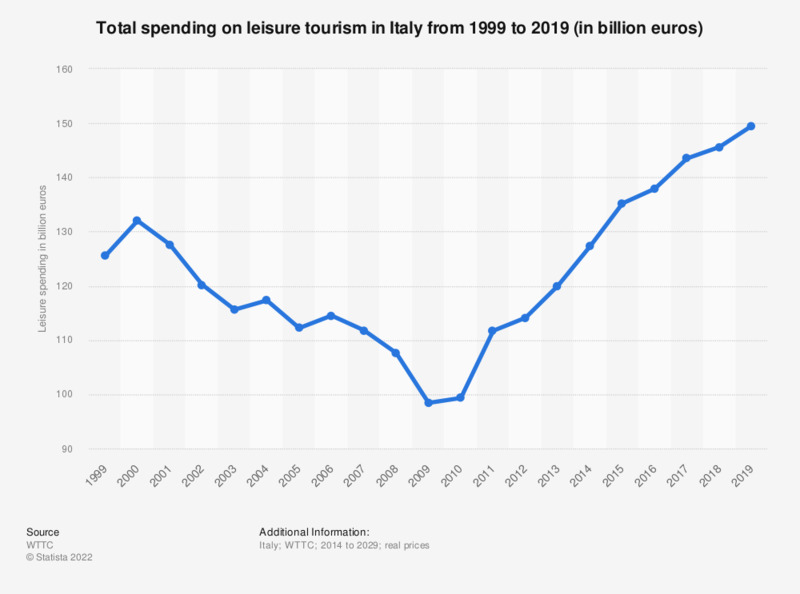 This statistic shows the leisure spending of the tourism industry in Italy from 2014 to 2028 . According to data, in 2028 the tourism leisure spending will reach 194.6 billion US dollars. Data from previous years were taken from past publications. Statistics on "Tourism economic contribution in the United Kingdom (UK)"